11. 03. 2018 19:54 22 (7 - Latvala Jari-Matti / Anttila Miikka): I had a very good feeling. 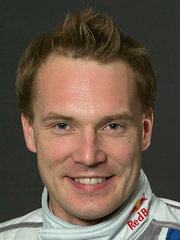 I said to Miika [Anttila, co-driver] I couldn't really drive any better. It was a good stage for us. 11. 03. 2018 17:43 21 (7 - Latvala Jari-Matti / Anttila Miikka): It's going very well. 11. 03. 2018 15:56 20 (7 - Latvala Jari-Matti / Anttila Miikka): We had a very good feeling and a good run. I'm really happy with the time. The car feels great. 11. 03. 2018 00:17 16 (7 - Latvala Jari-Matti / Anttila Miikka): I pushed maximum...I couldn't go faster. 10. 03. 2018 23:43 15 (7 - Latvala Jari-Matti / Anttila Miikka): Everything is ok but we're a bit on the limit with the temperatures. It's hard for the cars. 10. 03. 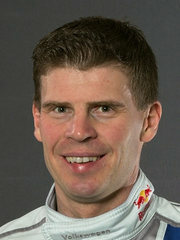 2018 21:49 14 (7 - Latvala Jari-Matti / Anttila Miikka): My target is to catch the car in front of me (Greensmith). He is four minutes ahead so we will push! 10. 03. 2018 17:43 12 (7 - Latvala Jari-Matti / Anttila Miikka): I was struggling for traction and was trying to use the higher gears to get grip. I'm not sure it worked. 10. 03. 2018 16:01 11 (7 - Latvala Jari-Matti / Anttila Miikka): I was thinking why is there so much dust with three minute intervals? Thierry's problems explain it. 10. 03. 2018 03:17 8 (7 - Latvala Jari-Matti / Anttila Miikka): It's been a tough day for me. Problems with the engine temperature going high but that was under control. But a couple of hundred metres into Ortega the battery voltage warning came on and later we lost the alternator. We'll try to get back in the points. There might be a chance for ninth or tenth place. 10. 03. 2018 00:28 7 (7 - Latvala Jari-Matti / Anttila Miikka): It was better than in the morning but still difficult, a very demanding stage. My hard tyres were the correct choice I'm sure. 09. 03. 2018 23:33 6 (7 - Latvala Jari-Matti / Anttila Miikka): The guys have been working hard in the office trying to fix it. At the moment everything is okay - the next one is more demanding. 09. 03. 2018 19:37 4 (7 - Latvala Jari-Matti / Anttila Miikka): Overheating - particularly on the uphill sections. We have to switch to road mode. 09. 03. 2018 18:56 3 (7 - Latvala Jari-Matti / Anttila Miikka): We have a problem with the engine temperature going too high. We can control it by reducing the power but we have to keep it safe. We cannot go for performance at the moment. We have to be clever and not cook the engine. 09. 03. 2018 18:00 2 (7 - Latvala Jari-Matti / Anttila Miikka): The engine felt really good in the first split but then I felt the power went down. The temperature was rising, but not the same as last year. Maybe I can improve my driving. 09. 03. 2018 08:56 1 (7 - Latvala Jari-Matti / Anttila Miikka): It's incredible, always great to be here in Guanajuato. I'm looking forward to the rest of the event, it's a good feeling.